The Midwest has been battered by the aftermath of last week’s “bomb cyclone” snowstorms. 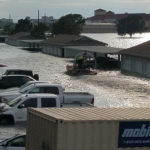 The resulting combination of fast-melting snow and additional rains has led to significant flooding across several states. 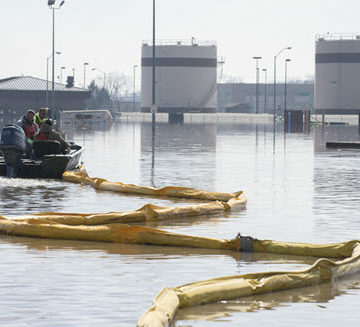 Unfortunately, Nebraska, Iowa, Missouri, and other affected states may not see the unprecedented flooding levels recede until May, according to a National Oceanic and Atmospheric Administration forecast. 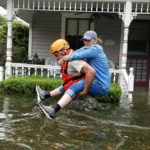 In Nebraska alone, 74 cities have declared states of emergency. The Platte, Loup, Elkhorn, Niobrara, and Missouri River basins have seen record flooding. Stamm, who grew up in Nebraska, remembers the flood years of 1993 and 1997. She also lived through the 2011 flood in Omaha. She said she’s never seen it quite like this, especially in the state’s more rural areas, outside Omaha, and with such a large impact to communities, agriculture, and infrastructure. 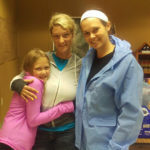 Stamm has seen some positives in the way communities have rallied together – grocery stores collecting donations and people volunteering to help clean houses. But mostly, it’s just a very tough time in her home state. 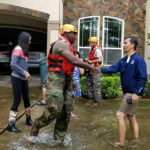 For ways you can help, and to share your experiences if you live in the flood zone, visit ASCE’s Disaster Response page.